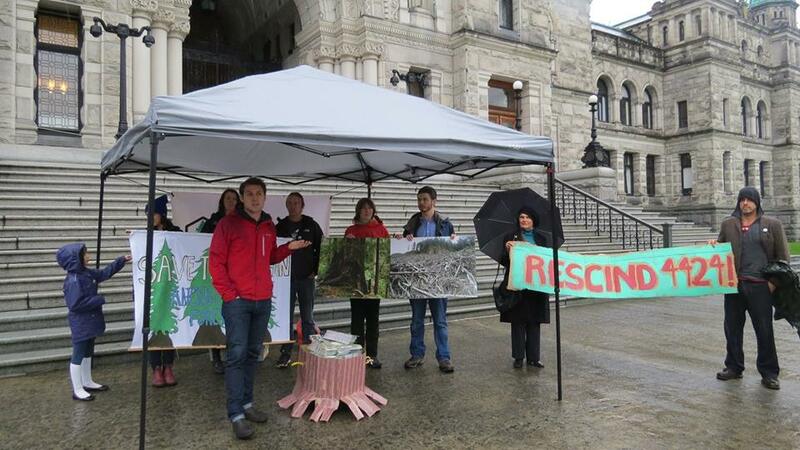 On a warm, rainy Wednesday the Wilderness Committee dropped by the BC Legislature to deliver a message to the Premier and to the Minister of Forests. And what did vox populi have to say? It was a resounding “Don’t cut the Central Walbran Valley!”, in the form of about 5300 (yes, really!) postcards bearing this message, and signed by individuals from across this province and beyond. Well done, Wilderness Committee!! And well done to you, the people of BC who signed one of these postcards! May your grandchildren see this valley as majestic and green as it is today.